. VW has sold 2 million Golf GTIs since. Fast forward to 2016 and perhaps out of the anguish of losing out to the Abarth Punto in OVERDRIVE's Ultimate Hot Hatch Track test (or at least I'd like to think that's the real reason), VW is upping the ante by a fair margin. After the Polo GT fell short marginally to the sheer horsepower strength of the Abarth, VW is now hitting us smack in the face with the iconic GTI badge. 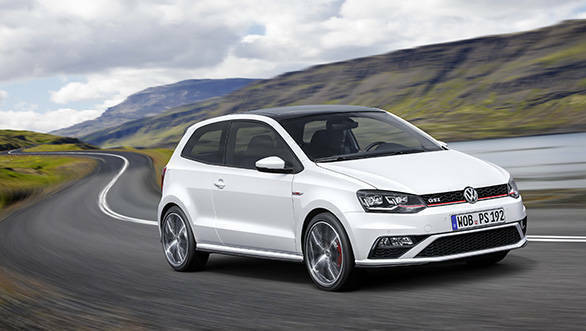 As I write this, a consignment of Polo GTIs is on its way from VW's facility in Pamplona, Spain, to our shores. The homologation vehicle is already being driven at the BIC racetrack. 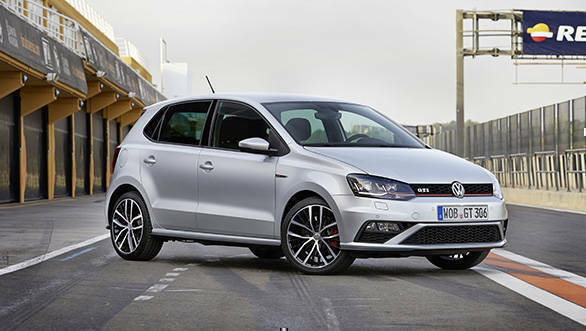 So is the Polo GTI really going to decimate competition? Is this hot hatch the real deal? We managed a whole day with the Polo GTI in Hanover, Germany, and I'm going to use the next 10 minutes of your time telling you exactly what you've been dying to hear. it to India initially, but make enough noise you manual-gearbox-fanatics and VW will oblige like it usually does. The manual gets a considerable 70Nm more torque than the automatic, but the performance of both versions is identical: 100kmph from a standstill takes about 6.7 seconds. The manual just seems a bit more eager when I drove them back to back, but the figures need a VBox verification. 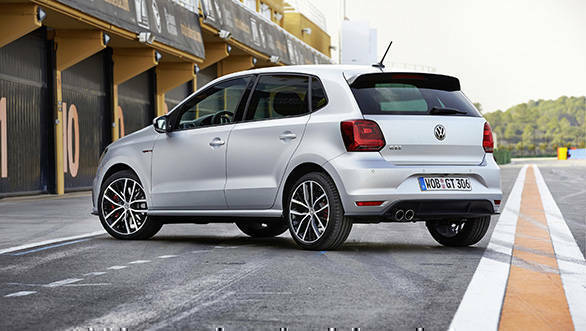 The performance is aided by the fact that the Polo GTI weighs only about 1,272kg, but as you can imagine it's not just simply a workshop job of strapping on an immensely powerful engine in a small hatch. The engineers have had to stiffen up the chassis and suspension set-up. The ride height too has been lowered to 140mm. But for the cars that come down to India, VW will increase the ride height to at least 150mm. The suspension won't be softened up but here's where things might not go according to VW's expectation. The impressively high levels of performance are a hugely welcome association, but a really stiff ride may not sit well with Polo lovers in India, especially considering the Polo has one of the best ride quality amongst hatchbacks in India. And the Polo GTIs set-up felt extremely stiff even on Germany's smooth roads. All that power also begs for an equivalent stopping potential, and large disc brakes all around ensures that. The electromechanical steering is sensitive at low speeds but weighs up sufficiently enough not to scare you at higher Autobahn speeds of over 200kmph. 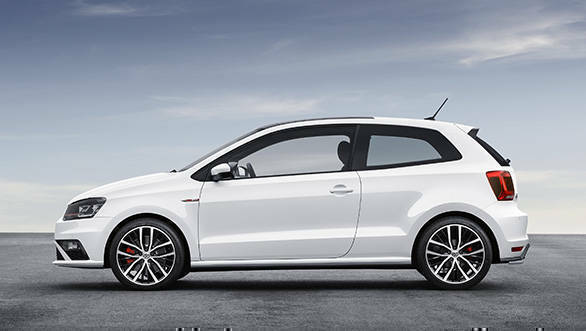 The Polo's design is not for the flamboyant, and despite all the shenanigans it's capable of neither is the Polo GTI. 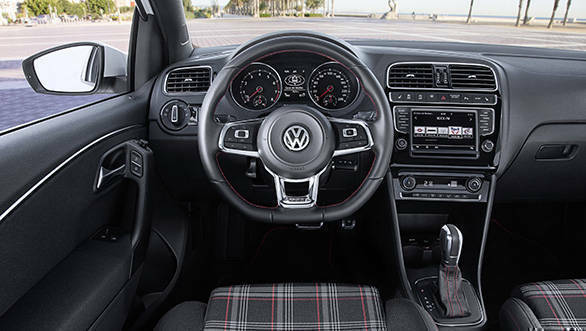 The additional GTI touches like the honeycomb grille with the red stripe, the seats with the signature chequered design or the GTI badges all around will catch the attention of the discerning but still let the Polo appear stately. 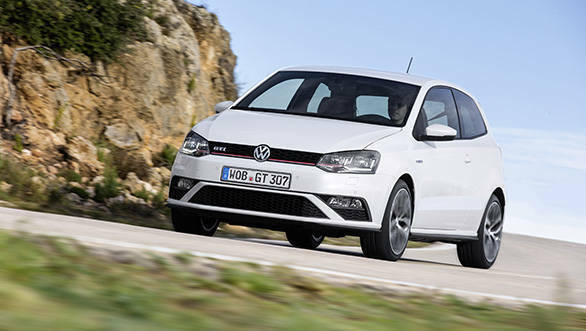 But here's where VW drops another bomb  the Indian Polo GTIs will be two-door. VW is definitely getting adventurous with the GTI and the reason is quite simple. 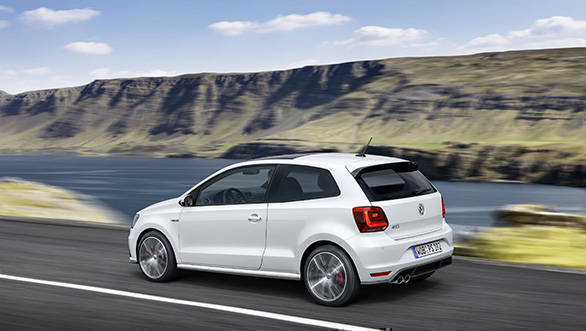 The Polo GTI is not expected to sell in large numbers. It's only coming to India as a CBU import which means it is likely to be expensive (expensive for a Polo, cheap for a near 200PS car). The whole point of the car is to introduce India to the legendary GTI brand. It will test the Indian waters for a potential enthusiast's niche to see if India is indeed ready for real hot hatches and not just jazzed-up pretenders. At the same time, other carmakers will be closely watching as well. So either the Polo GTI will usher in an era of approachable performance with others stepping on the band wagon, or it'll prove the accountants, strategists and statisticians right, and India will just have to wait for another generation for its share of affordable speed.